Mums are always popular in the fall. Chrysanthemums were first cultivated in China as a flowering herb as far back as the 15th century BC. Over 500 cultivars had been recorded by 1630. The plant is renowned as one of the Four Gentlemen in Chinese and East Asian art. The plant is particularly significant during the Double Ninth Festival. Chrysanthemum cultivation began in Japan during the Nara and Heian periods (early 8th to late 12th centuries), and gained popularity in the Edo period (early 17th to late 19th century). 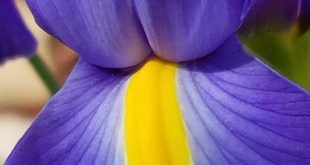 Many flower shapes, colours, and varieties were created. The way the flowers were grown and shaped also developed, and chrysanthemum culture flourished. The Imperial Seal of Japan is a chrysanthemum and the institution of the monarchy is also called the Chrysanthemum Throne. A number of festivals and shows take place throughout Japan in autumn when the flowers bloom. Chrysanthemum Day (菊の節句 Kiku no Sekku) is one of the five ancient sacred festivals. It is celebrated on the 9th day of the 9th month. It was started in 910, when the imperial court held its first chrysanthemum show. Hundreds of hardy cultivars provide an array of colors and bloom shapes, making mums the divas of the autumn Sunnyvale garden. 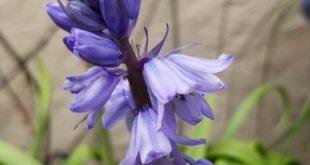 The blooms last for weeks, not days, and the sheer number of flowers per plant will convince anyone that this flower really likes to show off. Add the mum’s impressionistic abilities to its longevity, and you have a plant that pulls its weight in the garden. 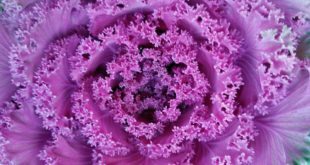 If you live in a climate with mild winters like Sunnyvale, try these cold-season flowering plants. Because of their tight, mounded habit and stunning bloom cover, garden mums are perfect for mass plantings. To get the maximum effect from far away, stick to only one or two colors. Another possibility is to arrange a gradual transition of related colors. 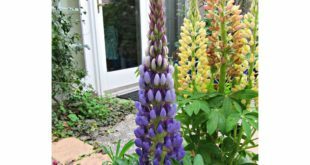 Look around your yard to see what colors would best complement the existing landscape. If you decorate for fall with pumpkins and gourds, choose orange, bronze, yellow, and creamy white mums. If you have a lot of evergreen plants that provide a backdrop of varying shades of green foliage, try bright pinks, lavenders, pure whites, or reds. With such bold colors, a large grouping of mums can excite even the most drab of fall landscapes. Garden mums also make great container plants. 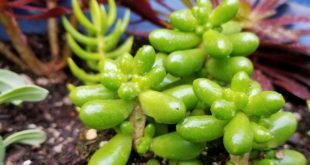 They’re just right for popping into a clay pot, lining up in a row in a window box, or placing in the center of a mixed container with trailing foliage plants all around. Many landscape plants can provide a backdrop for groupings of mums. For texture, choose ornamental grasses or the neon purple berries of the beautyberry shrub (Callicarpa). You also can pair mums with smoke tree (Cotinus), variegated sedum, the deciduous dwarf Fothergilla gardenii, or almost any conifer. To get the most from your mums, choose cultivars according to their bloom times. It also helps to coordinate bloom time with the length of fall in your location. Most garden mums will withstand a light fall frost, but finding the right cultivars will provide the longest possible amount of pleasure. Mums aren’t as expensive as many perennials, so if you choose to, you can plant them as annuals without worrying that you’ve spent too much money on something that might not live more than one season. If you’re an impulse buyer, you’ll probably see pots of colorful mums this fall and not be able to resist. Fall planting lessens the chance of winter survival, however, since roots don’t have time to establish themselves. If you want something more permanent and are willing to provide proper care such as mulching and pinching to encourage compact growth and more blooms, plant mums in the spring and allow them to get established in the garden. This will improve their chances of overwintering and reblooming the next year. 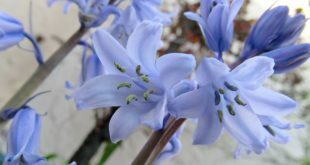 Some plants will even produce a few blooms in the spring before being pinched for fall flowers. Florist (or cutting) mums and hardy (or garden) mums come from the same original parent — a golden-yellow daisylike mum from China. Today’s hybrids in both categories are the results of endless crosses between several species from China and Japan. The result of such hybridization performed over hundreds of years is different types of mums that perform for two distinct purposes. 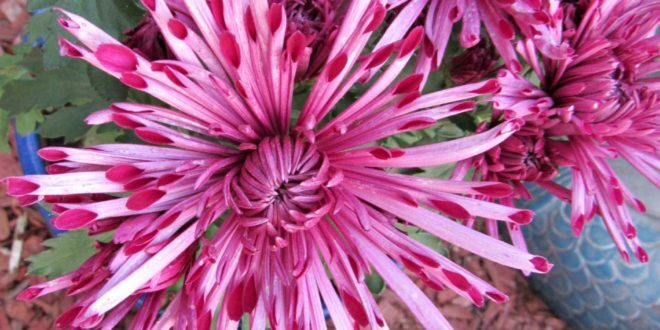 Florist mums are large-flower plants with many possible bloom forms, from quilled to pompon to spider and more. Grown in greenhouses and used only as indoor plants, florist mums produce few, if any, underground stolens, which are necessary if the mum is to survive cold weather. Florist mums planted outside are most likely being used as short-term bedding plants that will be removed when the blooms are spent. You can plant a potted florist mum you receive as a gift, and it may grow for the summer, but it will not survive the winter, no matter how much protection you give it. Garden mums, on the other hand, produce underground stolens and can survive cold better. Most garden mums are perennials in Zones 5 to 9 and much tougher than florist types. Some cultivars are less hardy than others and can be killed by an early spring frost. Whether you’re looking for a quick splash of color or a fixture for your border, mums are the pick for a fabulous fall. Location. Choose a spot that gets at least six hours of sun a day. Plants that don’t get enough sunlight will be tall and leggy and produce fewer, smaller flowers. Soil preparation. Mums thrive in well-drained soil. Heavy clay soil should be amended. If your yard is soggy after the slightest rain, grow mums in raised beds with friable soil for good root growth. If the soil is too dense, add compost and prepare to a depth of 8-12 inches for best performance. Mums’ roots are shallow, and they don’t like competition. Plant mums about 1 inch deeper than they were in the nursery pot, being careful with the roots as you spread them. Trim off the previous year’s stems as soon as the new spring growth begins to show. Watering. Water newly planted mums thoroughly, and never let them wilt. After they are established, give mums about an inch of water per week. When bottom leaves look limp or start to turn brown, water more often. Avoid soaking the foliage, which encourages disease. Fertilizer. Plants set out in spring should get a 5-10-10 fertilizer once or twice a month until cooler weather sets in. 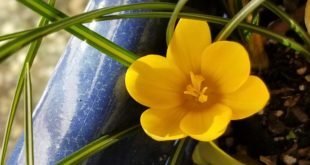 Don’t fertilize plants set out in fall as annuals, but plants you hope to overwinter should get high-phosphorus fertilizer to stimulate root growth. Overwintering. Prepare mums for winter after the first hard frost. Mulch up to 4 inches with straw or shredded hardwood. Fill in around the entire plant, spreading well between branches. Pinch off dead blooms to clean up the plant, but leave branches intact. Mums have a better chance of surviving if you wait to prune old stems until spring. As soon as the weather warms, pull away mulch to allow new shoots to pop up. Dividing. Mums grown as perennials need to be divided every couple of years. Divide in the spring after the last hard frost and after you see new growth starting. Dig up the plant in one piece and separate outer pieces from the center with a clean sharp spade or large knife. Replant the outer portions into a rejuvenated bed, and discard the original center of the plant. Pests. You may notice aphids, leafhoppers, or spider mites, but they are not likely to harm the plant. The key to those full, rounded domes of blooms that you associate with mums is pinching to create more branching and keep plants compact. Don’t hold back — just a few minutes here and there will reward you with a thick, solid-looking plant. If you’ve bought large, full plants in the fall, they have already been pinched and are ready for planting. Young spring plants will need pinching for maximum bloom and best plant shape. Start pinching as soon as you see a good flush of buds. Pinch about half of the tender new growth at the top of the shoot; choose some stems with buds and some without. Repeat the process with every 3 to 5 inches of growth (about every two to four weeks) until July 4. Stopping then ensures you will get good bud formation and blooms in fall.